proHelp is a light-weight Cloud solution designed to make Canvas LMS help documents more accessible by adding extra help markers throughout the LMS interface where help is most needed. 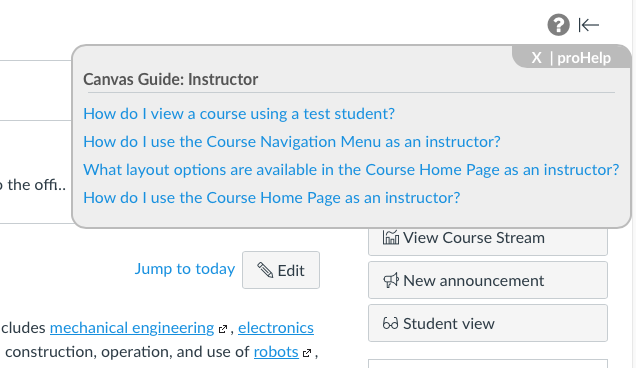 Most pages in Canvas LMS have only a single help button located on the left sidebar, whereby finding a relevant help document may take six or seven clicks through a labyrinth of options. This is not only time-consuming, but can also lead to an aversion to using the help system. proHelp comes to the rescue by adding help markers in precise locations that are proven to be problematic. When a proHelp marker is clicked, a pop-up box appears that contains a question, or questions, that provide direct links to answers in the relevant Canvas help pages. 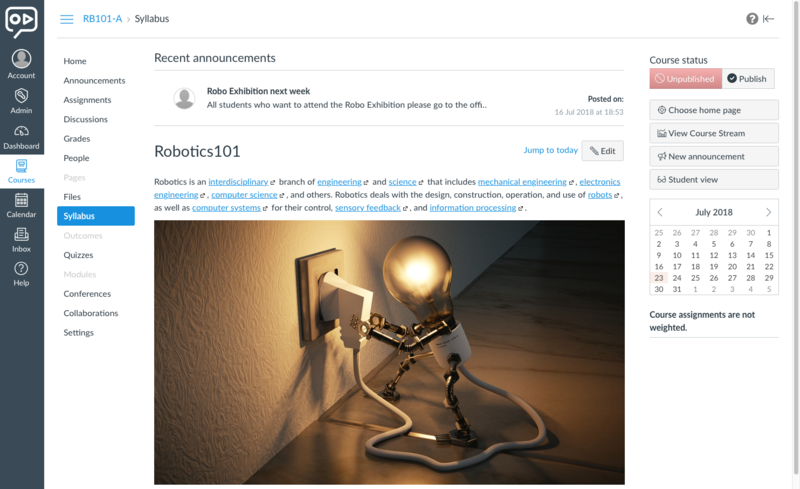 These help “shortcuts” improve the efficient use of the LMS among educators and students, promoting self-sufficiency and reinforcing best practices. Educational institutions divert significant resources into training teachers, students and administrators on how to use their LMS properly. For an organisation to maximise its core systems, staff need to be continually updated on new features and best practises. An efficient self-help system is the most effective and economical way of doing this. Behind the scenes, proHelp periodically collects and collates data from LMS documentation source code while the proHelp algorithm determines which help pages are most accessed and matched with corresponding instances throughout the LMS. Request A Free proHelp Trial Today!